Exercise upper and lower part of your body with the First Degree Fluid Cycle XT E720. Pivotable training arms offer workouts in sitting or standing position. Thanks to water-resistance system, you always control training intensity. An easy to use training computer informs about all important data of your workout. 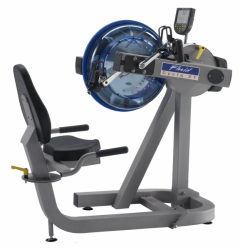 The First Degree Fluid Upperbody ergometer E820 combines the advantages of strength and cardio training equipment. Thanks to the Fluid resistance system, you always control optimally the intensity of your workout. Basic resistance is variable in 20 levels. Seat is adjustable and can be removed, so that wheel chair users can exercise with the First Degree Fluid Upperbody ergometer E820 as well. The training computer displays all important training data like pace, pulse, distance, etc..
First Degree exercise bikes are the unique exercise bikes with patented water resistance sytsem. 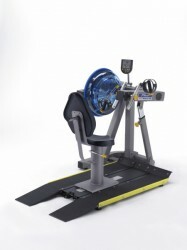 Innovative fitness concepts and most modern technologies characterize First Degree exercise bikes. One of the most classic fitness machines is the exercise bike. Independent of the weather, you exercise more joint-gentle with an exercise bike than jogging. Exercise bikes of First Degree develop the traditional bike ergometer decisively and combine it with the First Degree Fluid Technology System. Revolutionary exercise bikes have been developed which can be used for cardio or strength workouts. You can exercise in sitting or standing position with the First Degree Fitness Fluid Cycle XT 720 and reinforce different muscle groups. Another innovation of these exercise bikes is the use of a water tank known from rowing machines. 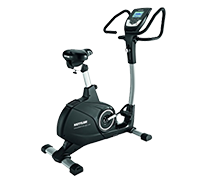 The water resistance of the First Degree exercise bike regulates automatically - according to used strength while exercising with the exercise bike.